Town with 6,916 inhabitants on the river Tisza, east of Tokaj. The structure of the settlement is primarily determined by its natural environment. As a characteristic feature of the settlement in Rétköz region, the people settled down on the islands and hills first. According to the legends Ibrány was built on 13 hills. According to the historical and archaeological findings the settlement was founded about 700 years ago. Its name refers to the period of the Hungarian conquest and the founding of the state. Like most of the old names of settlements, it also originates from a personal name. It probably comes from the Islamic Ibrahim and its form changed in the course of centuries. In 1280 in a deed of gift by king László IV the settlement was first mentioned under the name Ibrány. Some Gothic parts have been retained in the Romanesque Calvinist church. There are a picture gallery and a local history collection to be seen in the village. Excellent bathing and holiday making opportunities are offered by the open-air bath on the river. 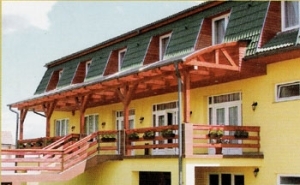 On the bank of the Tisza a resort has been built with nice buildings, it is easily accessible on road. The camping site is well-equipped with infrastructure. The river Tisza is becoming wider, slower and gentler in this double bend.